Clients voice SBM detox seminar. Thank you for the 5-hour SBM detox seminar. Even though it was for a couple of days, I experienced fasting for the first time in my life. What’s more, refraining from smoking and drinking coffee was mind-changing. I started SBM purely because I wanted to cure my hunchback. I did the exercise at my own pace but physical changes were happening slowly but surely. And the fact that I was sensing these changes was a signal to the next step. The theme of the 5-hour event was to “release tension and relax”. And the key onomatopoeia was ‘funya-funya’, the state of loosen up. I wasn’t uttering ‘funya-funya’ during the session, but replaying the phrase in my mind helping to stablise my pace while exercising. Most importantly, the aim of attending this event was to change my attitude towards binge eating and quitting cigarettes. And it worked wonders. My work does not allow me to eat regularly, and I was fine with just one meal a day- or so I thought. In fact, quitting my so-called ‘staple foods` which I would take from dawn to dusk, namely coffee and cigarettes, seemed more daunting. Now I am few days in since I gave up the two. Hopefully I will stay this way. It would be fantastic if I could give up smoking for good. This event made me rethink my work-life balance and the significance of healthy diet and sleeping well. Let’s hope this seminar has been the turning point for me to improve my body over the coming months. It will be another dry, sunny and very warm day. I want to do SBM outside. SBM detox seminar would be a great motivation to continue SBM! 34th SBM Detox seminar was held in Tokyo on 13th May. Everyone succeeded in completing the 5.5hours SBM. That is an amazing thing. 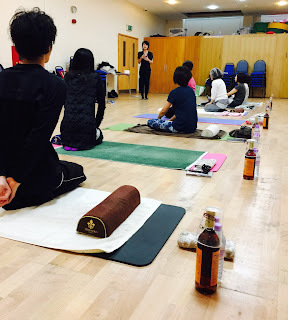 Here is our client's voice who attended the SBM detox seminar in London last October. During SBM session had some symptoms! How I longed for this moment to arrive- I managed to take part in this event for the first time. I was apprehensive whether I could get up after the 5-hour SBM session. It turned out I was constantly battling sleepiness throughout. And the pain on my right shoulder was coming back, making me realise it had not fully healed. Some other symptoms were also sensed during the session, but I felt extremely good with merely a slight pain in my body towards the end. I was proud of accomplishing the big milestone. Being reminded “one’s body and heart are connected” through this event would be a great motivation to continue SBM. My current, deformed body is the result of incorrect life choices I was making on a daily basis. Going forward I would like to look back on such bad habits and tackle them one by one. Such tiny, daily efforts will no doubt be the simplest, yet time-efficient way to transform my body. I am grateful of Mika and everybody whom I met through SBM for making me realise this and would like to thank them sincerely. Get some ideas for doing SBM to detox your body and your mind. Are you interested in detox, foods, fasting, exercise? 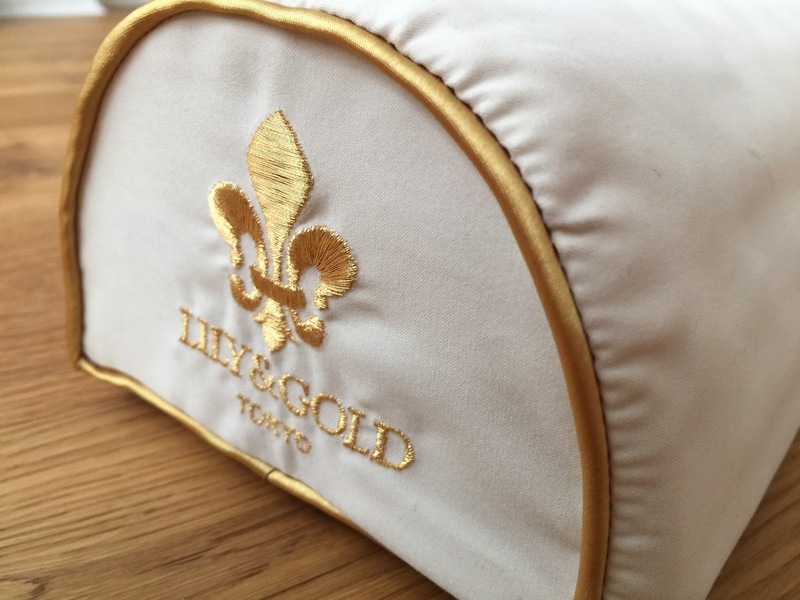 Lily and Gold will be held SBM Detox Seminar in London in July. 2. I did realize that I had not been seriously dealing with SBM on one excuse or another. As a result of my deliberation, I made up my mind that I would quit SBM if fasting would not bring about any favourable changes. I thought this sort of determination was necessary not to go back to the previous situation where I found excuses and felt self-satisfied in spending time by only practicing exercises. I performed fasting first time in my life for three days, and now, I am paying serious attention to how much to eat, when to eat, what to eat and not to eat. My dealing with exercises has also changed. I have come to believe in myself that is changed and changing through SBM. Practicing SBM is facing myself. The best things I have got from practicing SBM are not only improved conditions of my body but also realization of my spiritual weakness and shortcomings. I have a lot to do to aim for the upper pillow stage. In particular, I have to do more neck movement to improve my upper body conditions. My determination is to continue to SBM with my cured body so as to "obtain firmly axis-ed body and mind" which Yuriko sensei is advocating in her home page. Finally I would like to express my sincere gratitude to Mika for her kind and well thought -out instructions. Self Body Make is a set of simple, self-curing exercises for your back and neck using a special SBM pillow. The exercise will gradually correct the position of pelvis and spine, leading to correction of balance disorders and muscle imbalances. For booking a trial lesson(£60, 1hour ) and inquiries, please contact us. I did realize that I had not been seriously dealing with SBM on one excuse or another. When I took up SBM, my right hand never reached an SBM pillow. I was not sure whether a day would come when I would be able to practice exercised grasping a pillow. After practicing for a few month, to my delight, I became capable of grasping a pillow. I gradually came to feel better and proceed to the middle class pillow practice. I should have kept this favourable change going on, but I feel into a cycle of increase and decrease of my weight. From long ago I was conscious that my body was slightly distorted. Until recently I had tried various methods of exercise to get over my problem. But I could not get any good results despite my repeated efforts. The way I walked was walking with a slight limp. In particular, after giving birth to my daughter, the situation got worse. I was spending every day having difficulty walking. Just then, I came across SBM and had a trial lesson. The next day after the lesson to my surprise, I found myself smoothly walking. My instinct told me " That is it". Around the time, I was at the crossroads of my life, and I might eventually have some financial problems. For this reason, it took some time before I came to the decision to take up SBM lesson. Now I am really certain that I made right decision. Around then, I chronically had a headache, stiff shoulders, backache, numbness of my big toe, the splitting of my little toenail and so on. As far as they were concerned, there were no symptoms that might be diagnosed as serious diseases. However, in the past, I also had repeatedly suffered from vomiting due to a headache and stabbing pain in my right shoulder, which was so intense that I could hardly breath and forced me to take rest for hours while at work. I was feeling a lurking anxiety about my future health. After 10 months of SBM my high-arches have nearly disappeared. 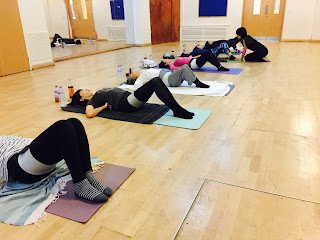 After 10 months of SBM classes I have seen a number of improvements: the pain of my slipped disc and other minor problems such as migraine and irregular periods have been alleviated and almost gone completely. My inherited high-arched feet have caused me many problems throughout my life, despite many treatments and rehabilitations in childhood and later unsuccessful surgery, but now my high arches have nearly disappeared. All these benefits have been astonishing. I think SBM is a great range of exercises. Mika and other people in the class are friendly, so I can learn not only about the exercises, but also work on life goals and career aspirations. Doing SBM exercises every single day and taking SBM classes have become a very joyful and important part of my routine. I’m thankful and happy to be awarded this year’s MVP, and very much appreciate everyone’s encouragement. I’m so glad I’ve taken part in the SBM exercise class, which has given me support I can rely on, not only will my mind and body be in much better condition, but I’m also looking forward to improvements in my life and career in the coming year, working on my SBM skills as well as collaborating with Mika and my classmates in future sessions. After having progressed to such a comfortable place in my health, my ambition for the New Year includes seeking improvements in my physique and confidence.